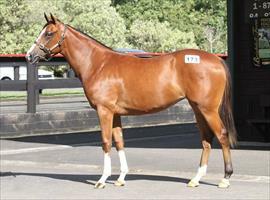 Join Ballymore Ladies with this stunning filly! We have been busy at the yearling sales and have purchased some very nice yearlings that we are excited about, including this Starcraft x Our Tigress filly. This filly will be our next Ladies Syndicate filly. The ladies in the Ballymore Ladies Syndicate #1 have had so much fun at our functions both at and away from the races and enjoyed success with the very promising Divissima who ran in the Karaka Million. So ladies if you and your friends would like to own and race an exiting filly, meet new people and have a blast a long the way come in on this filly and join our team in NZ! Contact Chad Ormsby for more details on 0277107134.